There are many skins sets designed for Abaddon, Lord of Avernus one of the most significant heroes in the Dota 2 gaming universe. The majority of these skins are developed by the highly creative fans of “Dota 2” in “The Steam Workshop.” Custom skins are an excellent, and inexpensive way for players to make their favorite characters appear the way they like best. Just remember that when you plan to buy & sell skins for Abaddon, you should consider a reputable marketplace with fair prices and an excellent reputation as there are many fraudulent resources out there. This skin was developed to underline the darkness of Abaddon’s powers – it is a classic set for those who prefer dark colors. 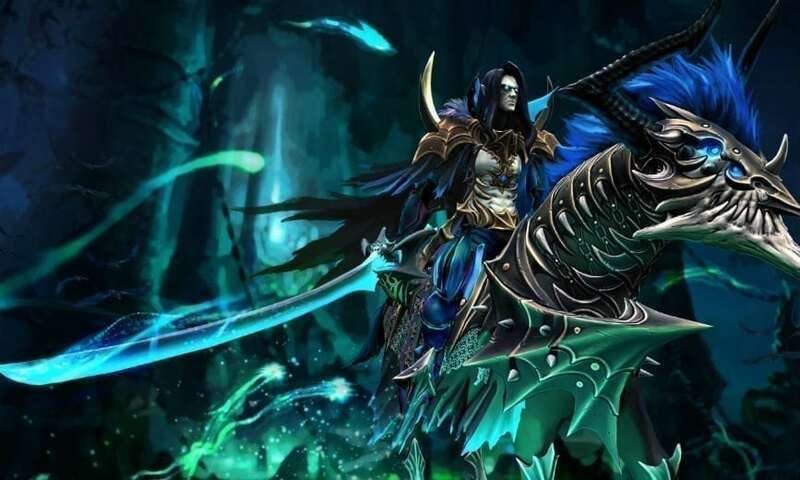 Another skin that makes Abaddon and his horse look fully armored and are an excellent choice for those who want to see Abaddon stand out in the match. The Dota 2 team developed the skin of demonic armor and weapons for Abaddon, to complete the “Legendary Class” of skins. This Rare Class skin brings extra armor and weapons for Lord of Avernus and his animal and reflects Abaddon’s lust for dark powers and their sources – the reason he became such a mighty warrior. Another Rare Class of skin includes five thematic skins, and if you equip Abaddon with these, you will add the best of LVL45’s creations released in 2016. This is also a Rare Class skin set that points out the connection between Abaddon and Shadow Fiend as both of them are mystic and predictable when it comes to spells and skills. This rare class set is available from the Treasure of the Forgotten Myth – it includes the straight helmet, armor for the horse, a sword with the long handle as well as hand and body armor for Abaddon. This is one of the oldest sets designed in 2013 – it has since become the classic set and remains included in the list of the Rare Class. The set is available from the Treasure of the Distinguished Conqueror and is an excellent choice if you like curved blades, and want to see the cloak and shoulder armor on Abaddon. No matter which set you chose they will all include the unique load screen and are sure to increase your enjoyment as you play.